Sam gave an excellent slide presentation using photographs of all the herds he had visited before moving on to the presentation of prizes. 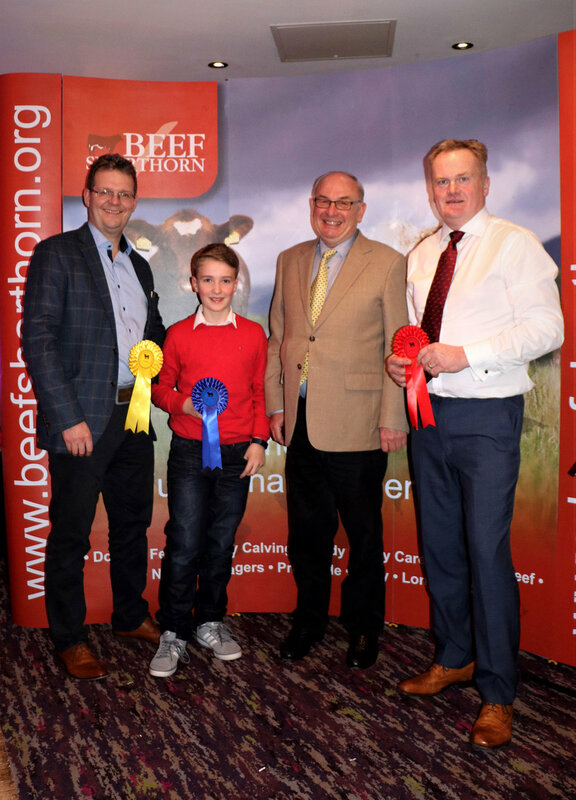 It proved a memorable evening for the Cherryvalley herd owned by Dr Peter Fitzgerald from Crumlin. 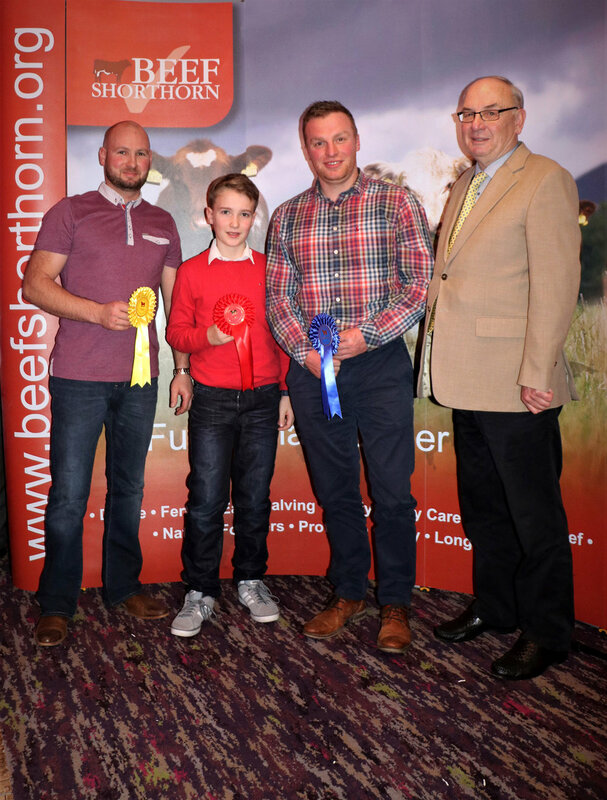 The herd was represented by herd manager, Stephen Williamson and not only scooped the overall championship but also majority of the section awards, including stock bull, brood cow, bull calf and group of heifers. 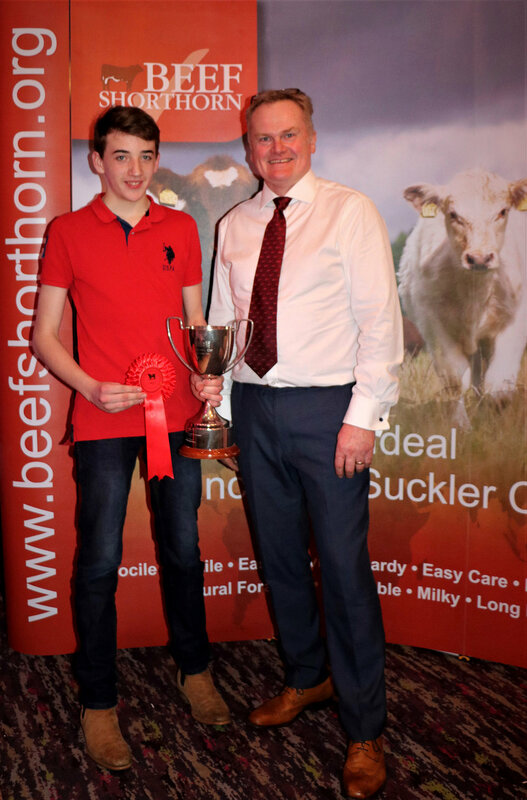 Reserve overall went to the Mullaglass herd of Richard Henning who also lifted the junior bull award. A new feature of the competition was the commercial herd section for those suckler producers using a Beef Shorthorn bull. This was a close contest with the eventual winner being Glenarm Estate represented by Bryan Wilson. 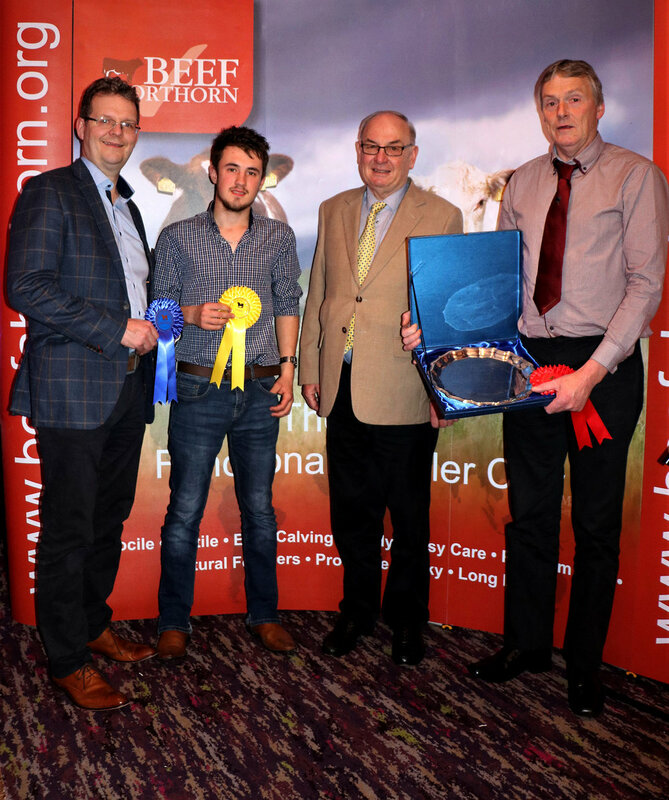 Runner up was well known commercial cattle producer, David Henderson from Lisbellaw.